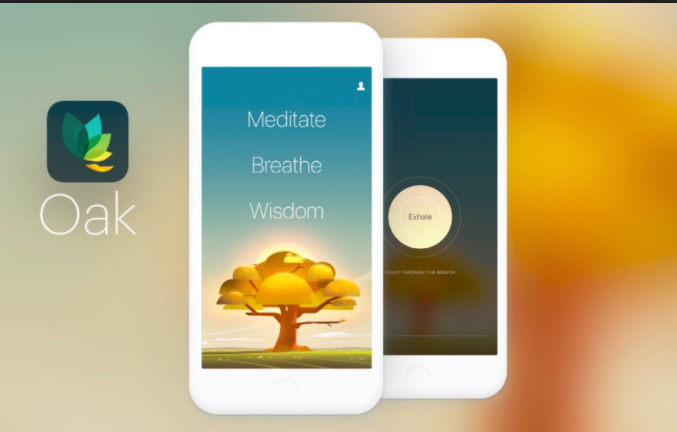 Oak – Meditation is a mobile app that teaches users how to meditate. Upon entering the program, users are shown a short video that explains the basics of meditation and its benefits. The main page shows the user’s progress, symbolized by the growth of an animated oak. Each practice helps the oak to grow. The app includes three main features: The first includes audio guided meditations for beginner meditators, each taking 10–30 minutes. The second focuses on the practice of breathing, delivered through three animated breathing exercises. The third feature includes short insightful audio and video tracks. Additional features include customizable background sounds, a personal tracker, and reminders to practice. Free/Content appropriate for beginner users. Lacks some structure for beginner users. Oak – Meditation is most suitable for beginner meditators, as its general orientation is to introduce and guide inexperienced users. The program is easy to use and the guided meditations are appropriate for the program’s target. As the program is available free of charge, it is a good option for those who want to try out meditation. However, the program could use some more structure and orientation within the exercises and in the general framework (e.g. how many meditations in the program, recommended practice time, etc.). Oak – Meditation could be recommended to patients dealing with mild to moderate mental health problems who wish to study how to meditate. The program does require some amount of focus and energy to be effective; therefore, it is key that patients are motivated to learn how to meditate or clinicians can offer step-to-step guidance. It could be incorporated between therapy sessions as an additional practice, if meditation is used within therapy, or to help the patient acquire new relaxation skills not practiced in therapy. Find a program that fits you.